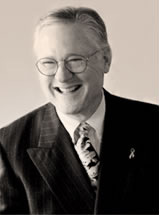 Michael Rainey is a dispute resolution expert with a rich combination of experience across the Alternative Dispute Resolution (ADR), legal, academic, business, and military arenas. He has a highly successful track record handling complex, high-stakes disputes and teaching organizations and students how to effectively resolve conflict. Through Pepperdine, private practice and key mediation affiliations, Michael has had a profound influence on the emergence of effective ADR practices. He is an Adjunct Professor at Pepperdine’s Straus Institute of Dispute Resolution, recognized as the leading post-graduate school in Alternative Dispute Resolution in the nation, and an Instructor at Pepperdine’s Graziadio School of Business and Management. Michael earned his Masters of Law (LL.M.) in Dispute Resolution in Straus Institute’s first graduating class for this degree. He has won the Outstanding Teaching Award twice and authored the Business Negotiation & Resolution of Conflict course and textbook. Michael is an appointed ADR panel member on the United States District Court and holds prominent roles on several other mediation panels. As a result of Michael’s expertise in mediation, the California Senate invited him to testify in their hearings to shape requirements for mediator certification. Given his long-standing belief in the value of appropriate dispute resolution, Michael achieved his certification as a mediator in the early stages of the development of this credential. Prior to this, he successfully tried cases at the Supreme Court level and gained extensive litigation experience as both in-house and outside counsel, earning the highest possible Martindale-Hubbell AV® litigator rating via peer review. Download Michael Rainey’s Mediator Profile. Private mediation and arbitration for 16 years in the following areas: Business Disputes, Real Estate, Personal Injury, Product Liability, Construction Defect, Child Custody and Family Law. Appointed member on the United States District Court, Central Court District ADR panel. Mediator on the Los Angeles Superior Court and Ventura Superior Court panels. Mediator on the Equal Employment Opportunity Commission panel. Mediator on the United States Postal Service panel. Contract mediator for the California Department of Insurance. Adjunct Professor: Pepperdine University Law School, Straus Institute of Dispute Resolution, 1996 to Present. Lecturer: Pepperdine University, Graziadio School of Business & Management, MBA/MIB Programs, 1996 to Present. Business Negotiation & the Resolution of Conflict. Managing within the Ethical and Regulatory Environment. Course and Textbook Author/Editor: Business Negotiation and the Resolution of Conflict. Michael Rainey, ed. Sharp Publications, 1998. Principle Attorney, Certified Mediator, and Arbitrator: Law Offices of Michael B. Rainey & Associates, 1987 to Present. Associate Counsel: Berger, Kahn, Shafton & Moss, 1984 to 1987. Associate Attorney: Kern & Wooley, 1982 to 1984. Attorney, In-House Counsel: American Honda, Honda Motor Company, and Honda R&D, 1979 to 1982. Law Clerk: Early, Maslach, Levy & Nutt, 1975 to 1979. World Economic Council: Created presentation as consultant for Ingram Micro, Inc., 2004. California Senate: Invited speaker testifying at hearings on mediation certification, 2003. Pepperdine University’s Masters Forum: Presenter and panel moderator, 2000 and 2002. Motorcycle Safety Foundation: At national and international symposiums, presented research papers on vehicle dynamics, wet brake characteristics and handling issues of single track, two-wheeled vehicles, and conspicuity. Executive Officer Aviation Company: Army National Guard, 6 years. Captain, Pilot, Combat Platoon Leader RVN: United States Army, 4 years. Flight Instructor: United States Army, 1 year. Pilot: Commercial pilot’s license, type rated, multi-engine, instrument, approximately 3400 hours logged. Masters of Law: Pepperdine University, Straus Institute of Dispute Resolution, Mediation Specialty, 2003. Juris Doctorate: Loyola Law School, 1979. Bachelor of Arts: Loyola University, 1974. Outstanding Teaching Award, Pepperdine University Graziadio School of Business and Management, 2000 and 2001. Recognition by California State Assembly for charitable work. Recognition by California State Senate for service as President of Board of Directors, Pacific Lodge Youth Services. Alumnus of the Year (first ever awarded), Pacific Lodge Youth Services. Businessman of the Year, Business Advisory Council, 2003. Bronze Star and Air Medals, United States Army. California State Bar (1980-SBN 94260). All Federal District Courts in California. United States Court of Temporary Relief. Court of Appeals for the Armed Forces. Court of Customs & Patent Appeals. President of the Board, Director Youth-At-Choice, and Committee Chair: Pacific Lodge Boys Home, 10 years. Board Member and Committee Chair: Pacific Lodge Youth Services, 3 years. Director and Member: Woodland Hills Rotary, 5 years. Michael is widely published and is considered an authority in Mediation and Negotiation. For a partial list of publications, click here. Two training films on Mediation for Pepperdine University Law School, Straus Institute of Dispute Resolution, currently in post production editing. “Authors Night” Calabasas Regional Television Cable Network, 2003. An “on-air” discussion of the text, “Business Negotiaton and the Resolution of Disputes” edited by Michael Rainey and used at Pepperdine University’s Graziadio School of Business and Management.